Lecture | Heavy Breathing & Plain White Paper | Skinner Inc.
How can one assess the state of a fine old silver tankard or tablespoon when caught unexpectedly at an auction or antiques store without a trusty XRF apparatus nearby? Join Janine Skerry in the pursuit of silver connoisseurship fundamentals on the fly as techniques like heavy breathing and the use of plain white paper are explained. In addition to tips on discerning condition, regional construction features will be discussed along with changing fashions in engraving styles. 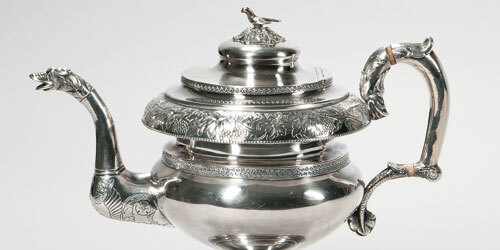 The attribution of marks to specific silversmiths, as well as the reasons for re-attributions, will also be explored. If you have a yen to polish up your silver sleuthing skills, take a deep breath, grab a sheet of paper, and take a closer look. In 2016, Janine E. Skerry became curator of metals at the Colonial Williamsburg Foundation in Williamsburg, Virginia, where she had previously served since 2009 as curator of metals and since 1993 as curator of ceramics and glass. 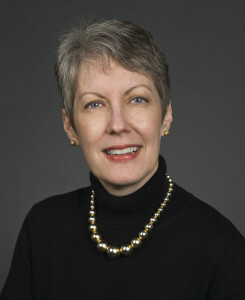 She holds degrees from Yale University; the Winterthur Program in Early American Culture and the University of Delaware; and Boston University. She has lectured and written widely on silver, ceramics, and dining in England and America. Dr. Skerry has responsibility for silver, fused silverplate, polished steel, pewter, brass, jewelry, and enamels. She is curator of Silver from Mine to Masterpiece, an exhibition of English and American silver which opened in September 2015, at the Art Museums of Colonial Williamsburg. This entry was posted in Event and tagged boston, Colonial Williamsburg, event, free event, lecture, metals, silver by Skinner. Bookmark the permalink.